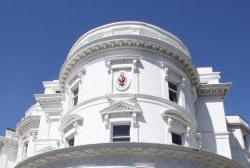 I live at the heart of Glenfaba in St. Johns, the historic seat of Tynwald the original Manx Parliament. Having been privileged to have travelled extensively round the world I can safely say that the Isle of Man is one of the best places to live. We are truly blessed with a beautiful island. Worse st ill we seem to follow UK and European legislation and regulation without thinking through the consequences for our way of life or economic future. Over the years I have been involved in a number of diverse business interests and nursed a number of fledgling companies and partnerships into substantial entities. The skills required are not only those of an entrepreneur, but also accounting and, just as importantly, making sure we delivered what the customer wanted. During this period I’ve also been involved in negotiating new legislation and regulation both locally, in the UK and in Europe. I believe the time is right to put this reservoir of experience to good use in the Isle of Man. Should I become your elected member of the House of Keys I will make several commitments. My philosophy in politics is that if elected, individually and collectively parliament must do what the electorate wants it to do, rather than frequently what happens, tell the electorate what is good for it. How do we know what the electorate wants? Well that is a difficult question. All too frequently people get elected and then vanish until the next round of elections, they fail to sample local opinion and to remain in touch with their electorate. Before previous elections where there has been a longer run up period I have carried out a full electors survey unfortunately this time around there is insufficient time. However judging by what people are saying on the doorstep priorities are still similar, health, education and law and order come top followed closely by the economy, pensions and local issues which affect quality of life. Furthermore, if elected I promise not to vanish until the next election. I will maintain my website, post regular news and informative items and hope for some feedback from you. I will engage additional permanent secretarial help to ensure that I can service correspondence and requirements for help or information properly. For those of you without email contact I will send round a hard copy newsletter at least every six months to keep you in touch with what’s going on. As a serving Commissioner in German (a post I will have to resign if elected) I have great faith in our Local Commissioners and I want to work with them, not against them. If elected I guarantee to put you, my constituents, first and stand up for what you want and need.